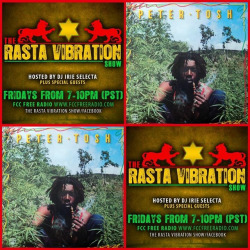 Friday night on The Rasta Vibration Show we have King Lustre from Lustre Kings Productions coming in studio dropping their red hot new single “For The Children” by Jahdan Blakkamoore & Kabaka Bebble Rock Pyramid and joining him will be The Bay’s own Relic Secure talking about his new tune on Baylando Records Blood money riddim! Make sure to tune inn 7-10pm(pst) Worldwide on www.fccfreeradio.com Live in Studio 1A!! !